Beautiful Gustavian sideboard from northern Sweden. Reeded fronted doors with harlequin carvings. In northern Sweden the Gustavian Style prevailed well into the 19th century, and this dates to circa 1810-1820. 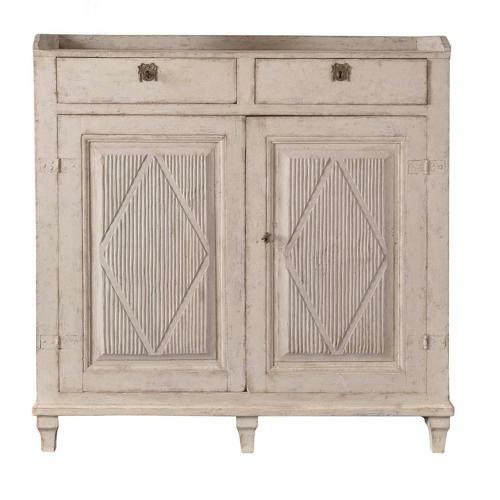 A quintessential Gustavian piece that would work well in almost any interior. Excellent. Paint retouched. Hardware old, but probably not original to the piece. Two keys included.